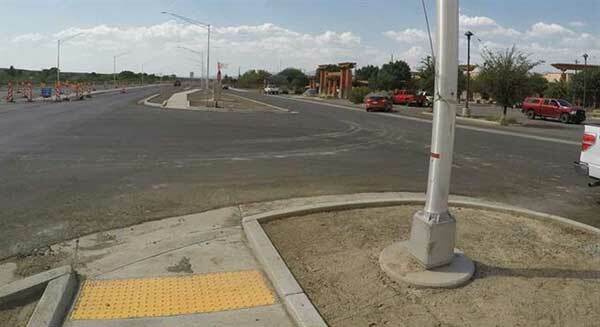 A new pedestrian-activated beacon is now on U.S. 70 in Bylas. A pedestrian hybrid beacon is a traffic control device that assists pedestrians in crossing a street or highway at a marked but un-signaled crosswalk. This special type of traffic light utilizes a system of indicator lights and signs that alert drivers and control vehicle traffic. Pedestrians need to push the button to activate the system, then cross when the WALK symbol appears. For drivers, the beacon will appear dark until a pedestrian activates it. When activated, drivers must slow down or stop depending on the indicator light.